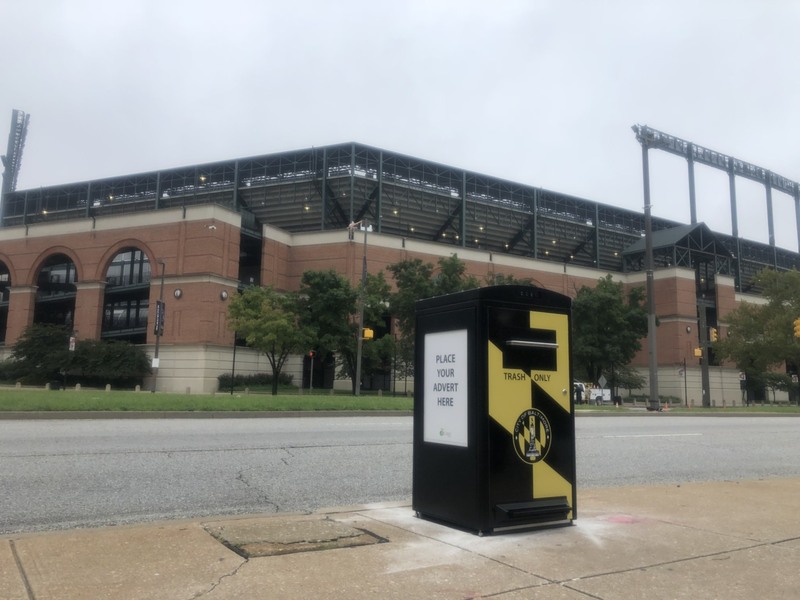 City of Baltimore (Maryland) has received their first CleanCUBE solar-powered waste compactors. The first batch comprises of 47 units installed on the second and third weeks of September. 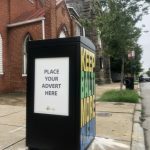 Another 25 units will be installed in early October. 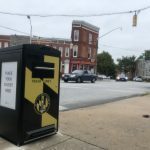 The installed devices are part of the $15 million USD contract between the City of Baltimore and Ecube Labs Co. 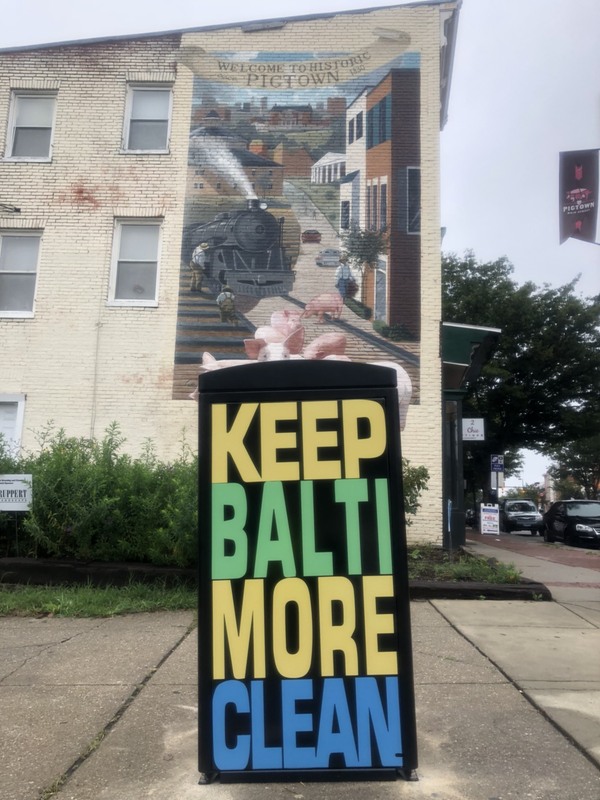 The first CleanCUBE smart bins were installed at Washington Boulevard, Ridgely’s Delight, Cherry Hill and Westport, and along Light, Charles, and Hanover streets in South Baltimore. 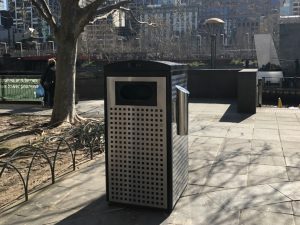 Each unit is wirelessly connected to a remote monitoring platform which alerts the city’s waste collectors when the bin is full, allowing the crews to work more efficiently. 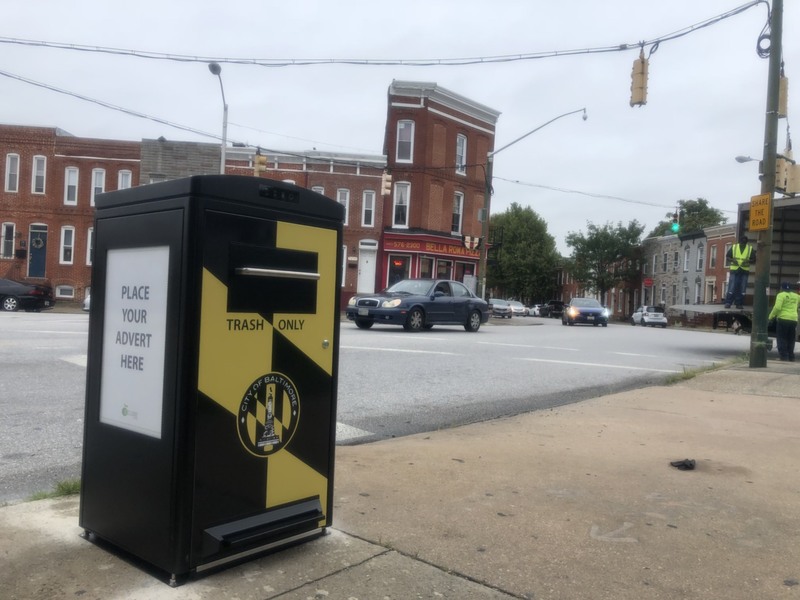 The devices feature customized Baltimore wrappings and their hopper doors can be locked remotely using the CleanCityNetworks monitoring platform. 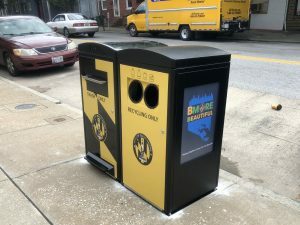 A portion of the units also includes an attached recycling bin without the compaction mechanism. 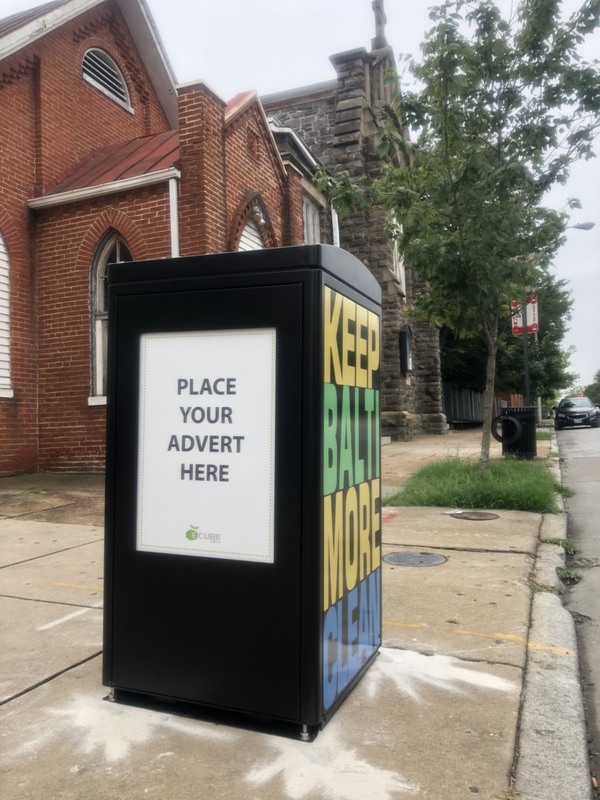 Ecube Labs is rolling out the smart waste bins to Baltimore’s business districts, bus stops, and other designated public spaces in three phases. 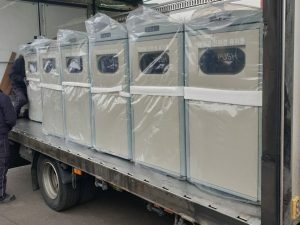 The first phase includes a total of 150 CleanCUBE units and is scheduled to be completed by the end of November 2018. 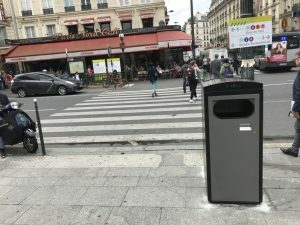 The second phase will introduce more CleanCUBEs starting in December 2018. 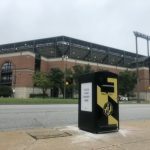 Along with the new deployments, Ecube Labs has recently opened a local field office in Baltimore to act as an East Coast hub. 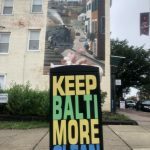 FOX Baltimore: TACKLING THE TRASH | Will new ‘Smart Cans’ make Baltimore cleaner? 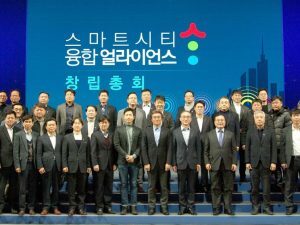 비효율적인 폐기물 수거처리로 인한 예산낭비를 멈출수 있습니다. 이큐브랩의 솔루션을 통해 폐기물 수거비용이 얼마나 절약 될 수 있는지 알아보시려면 연락을 주세요.